In the two preceding blogs, we discussed the historical importance of rubber based pressure-sensitive adhesives and their continued use in today’s applications as well as the “workhorse” adhesive family- acrylics. In this post, we will consider silicone pressure-sensitive adhesives and their role in current tape applications. Silicone adhesives contain two major components- a flexible silicone gum and a crystalline siloxane resin. By varying the concentrations of these two ingredients, the adhesive properties can be adjusted to meet the demands of various applications. Silicone pressure-sensitive adhesives are highly specialized and are selected in applications that demand resistance to extremely high or low temperature, moisture, and chemicals. 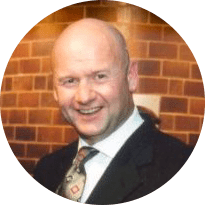 They are considerably more expensive than either rubber-based or acrylic adhesives and tend to be used in niche applications. As you can see in the above table, their low glass transition temperature (Tg) allows them to perform in extreme cold without debonding or at an extremely elevated temperature without drying out. 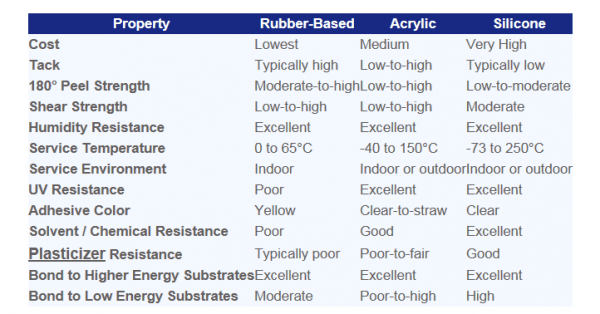 Silicone adhesives don’t typically exhibit aggressive tack or high peel values BUT they adhere extremely well to low surface energy materials such as silicone rubber, release liners and fluoropolymers that acrylics and rubber based adhesives cannot. They also exhibit high dielectric strength and are used extensively in electronic and electrical applications. Silicone adhesive applications include splicing tapes for silicone release liners, fabrics, and elastomers, electrical tapes for insulation resistance, plating, masking, and soldering tapes for electronic applications, and masking tapes for plasma an flame spray processing where high-temperature resistance and clean removability are required. Silicone adhesives are truly for niche applications but they punch above their weight and can handle conditions that rubber-based and acrylics just can’t. 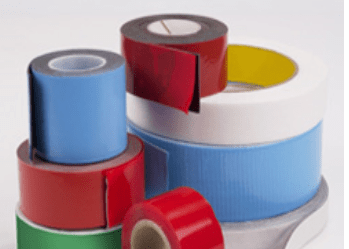 Want to know more about silicone tape products? Call Tom Brown, Inc. to learn more!